This post is sponsored by Oak Meadow– a curriculum company we have been with since we first started homeschooling. A couple months ago, I sat with one of my friends as she debated pulling her daughter out of public school. Things just weren’t working out for them – they moved this year across the country and the change in the curriculum and culture in the school were causing headaches, for my friend and for her sweet kiddo. She debating pulling her out for weeks before making the leap. It’s a couple months into the school year- this time of the year many people are making the hard decision to pull their kids out of the public school system to homeschool. Maybe you don’t see eye to eye with your child’s teacher. Maybe they are struggling and not receiving the help they need. Maybe they are being bullied. Maybe you are just done with the hamster wheel that is public school education. There are a million reasons to want to homeschool, and no matter what your reasons are, making the leap can be intimidating. I’m here to tell you that everything will be okay. You’ve made the decision to homeschool for a reason, and you didn’t make that decision lightly. You understand the weight of your role as a homeschool teacher. You are ready- and I know you can do this. I want you to walk away from this post today feeling good about yourself, your decision, and your abilities. Before you do anything else, you need to make sure you understand what legal requirements your state has for homeschooled students. Each state will be a little different. You can google “(your state name) homeschooling laws” to see where to start. If you feel a little overwhelmed with the laws in your state, it’s a good idea to try and connect with local homeschoolers who can explain how the laws work in practice and share their experiences working with the state. We’ve lived in locations with no oversight (overseas as a military family) and many regulations and restrictions (Maryland) and have managed to survive with very little stress. Take care of the formalities, and try to not worry too much about them! Unless you are a school teacher, or were homeschooled yourself, you may have not imagined yourself in a full time teaching role. That’s okay. Combining parenting and teaching is actually pretty easy because homeschooling doesn’t need to look like public school. Your kids won’t be learning in the same ways, and you will have so much more flexibility and freedom than a classroom teacher would. For an extra confidence boost, I highly recommend checking out Oak Meadow’s Foundations in Independent Learning, a teacher training course filled with inspiration and support. This course is intended for teachers using Oak Meadow curriculum, but is useful for any parent hoping to follow a creative, child-led approach to learning. Take the time to invest in yourself as you consider homeschooling- you won’t regret it! Homeschooling can be fun (easy, enjoyable, uplifting – insert your preferred positive adjective here) but I have to be honest with you . . . it can also be hard. 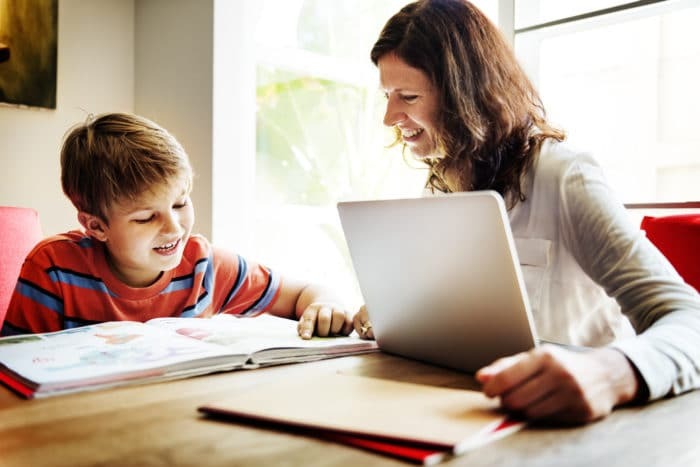 Many people experience an easy transition and feel right at home as a homeschooling parent, but it can be overwhelming and tiring at times. You are going to have bad days, you are going to have moments where you feel inadequate, and some days, you are going to want to quit. It is really helpful to have a supportive network in place. Make sure your spouse is on board. Have a friend or two in your corner who will pour you a cup of coffee or tell you to carry on when things get hard. Have a plan in place so you don’t feel alone (even if that plan is just connecting with a Facebook group on your phone while your kiddo is whining about math). I tell new homeschoolers all the time to plan carefully and purchase slowly. I feel like homeschoolers have a tendency to over burden themselves with too many curriculum options, and often over spend on programs that are not a great fit for their family. Take the time to download curriculum samples, and try them with your kids. Teach the sample lessons. Consider what kind of program you really want to use, how you want to teach, and how your children tend to learn. Our family has been using Oak Meadow with the kids for years now- and it’s a comprehensive program I always reccomend new homeschoolers check out. The program is designed in a very family-friendly way, meaning it is easy to follow, easy to schedule, and not overwhelming for new homeschoolers- especially in the early grades. It works for us because it allows us a huge amount of flexibility while also helping me ensure that the kids are where they need to be with their academics. I also reccomend using as many free materials as possible while you are in the research stage of planning your homeschool curriculum. You don’t want to rush into the decision, and there is no reason your children can’t spend some time with online programs or printable unit studies for a couple weeks while you decide on the best course of action. 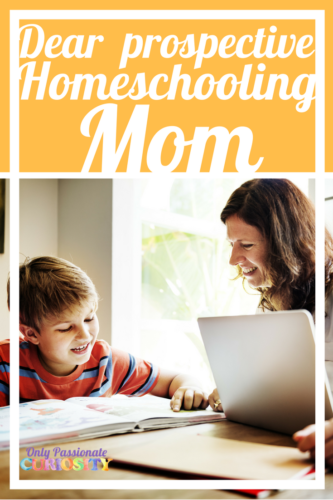 You can find free homeschool curriculum here, and printable curriculum here. As I was writing this post, my new homeschooler friend told me that she had been worried about the transition to homeschooling (thanks in part to blog posts like this one) and in the end, it really was no big deal. Things seem to be going really well for her (and honestly, I probably spend more time venting to her about my struggles with the kids than she ever does vent to me!). I hope you have the same positive experience- and if you struggle, please stop by and join our support group on Facebook, or shoot me a message and we can chat. Thanks for being a part of the OPC family! Save 10 percent on Oak Meadow’s Foundations in Independent Learning Now! Use the coupon code 2016-opc-readers Offer expires December 31, 2016. I love your resources and ideas. Thank you for your passion and dedication to the craft of teaching!